Things unravel so fast. One day Sam is a kid with a straightforward life, next moment he's sucked into a time warp and flung back a hundred years. Meeting Flea, Gertie and the gang is just the start of a crazy adventure with Sam on the run from police, sleeping outside the morgue, laying bets on horse races, fighting thieves and larrikins. An accident in a shooting gallery confronts Sam with the hardest decision he's ever had to make. Can he change the past - and his own future? 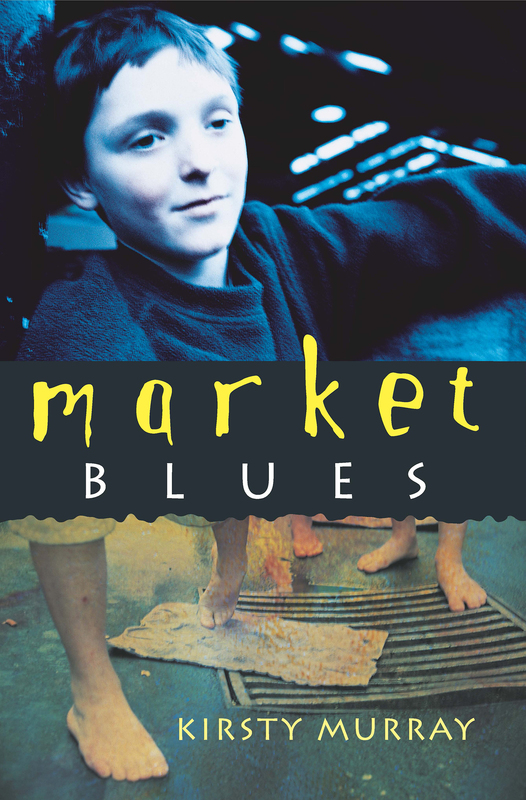 Market Blues is a fast-moving drama about city kids then and now, about change, choice and responsibility. Kirsty Murray is the author of several non-fiction children's books and one novel. She has worked as a forest ranger, archivist, artist and teacher, and now is a full-time writer. Her previous novel, set in a bush circus, was Zarconi's Magic Flying Fish (1999).